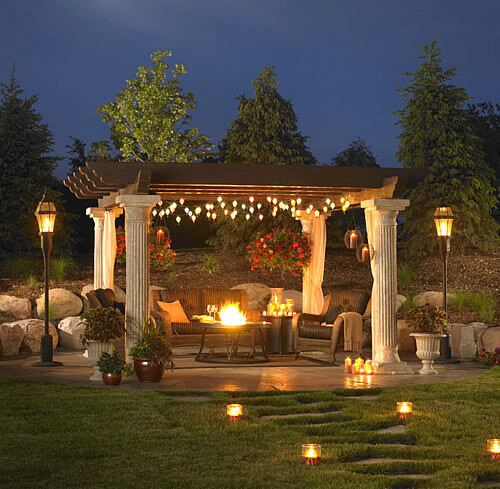 With summer just around the corner, it’s time to think about outdoor spaces. 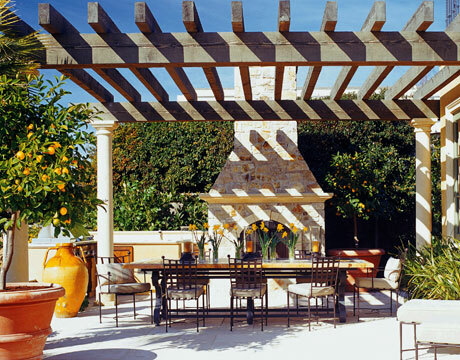 One of my favorite structures is the pergola. Whether it’s al fresco dining you want or an outdoor relaxing space, a pergola provides a beautiful focal point and creates the feel of an indoor room. It defines a space. 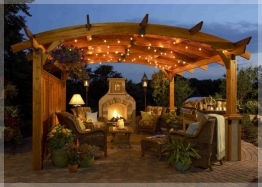 There are so many possibilities and benefits that make a pergola really special. You can have beautiful climbing vines intertwining on it. Wisteria, clematis, rambling rose, even grape vines. 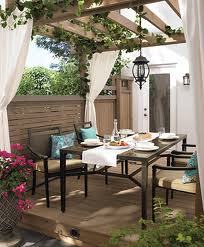 Outdoor fabric can be draped over top to create a shaded & sheltered space. Flowing curtain panels are another addition if you’d like a private, more intimate feel. You can hang string lights or hang an outdoor chandelier for night time enjoyment. A pergola creates a wonderful outdoor entertaining space, as well as adding beauty, character and romance to everyday outdoor living.